R Maria Peru was heard simultaneously on 1550 and 1560 on April 27, 2015 in Sarvsalö/Borgå. Even though Bolivian Bendita Trinidad on 1540 was heard with moderate signals, the conditions this morning favored the southern parts of Perú but did not reach Bolivia (with the exception of Bendita). 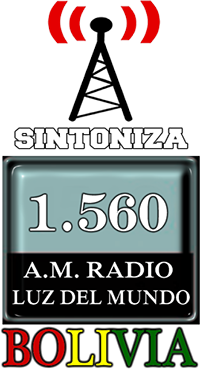 I anticipated, during my first check of the file, that the station on 1550 was R Independencia, Lima. After checking also 1560 I realized, that I had the same station on two neighboring frequencies. 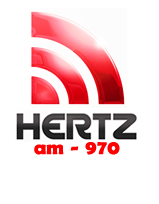 Checking the recordings carefully I found the ID “R Maria Perú” and “En Huancayo 1240 AM, en Talara 104.5 FM” What a coincidence! I received a FB message confirming my receptions of R Maria Peru on 1550 and 1560 with a notice that a letter had been sent to me my ordinary mail. On May 18 Pertti Äyräs noticed OAM7D R San Sebastian in Livitaca/Cusco on this frequency, a station that has been reported heard also in Sweden. 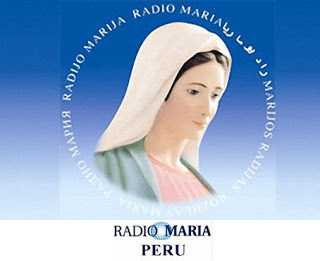 On 1560 the new bolivian R Luz del Mundo(started officially on May 16), with it’s new transmitter and 5 kW, will make hearing R Maria here again much more difficult. A very big surprise was found when going through files recorded on February 25, 2015 in Lemmenjoki during LEM354. On 850 a station playing Argentinian folklore was noticed fading under R Carve that was booming in with a very strong signal. 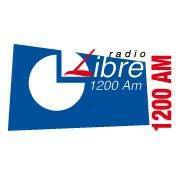 Just before 05 UTC the folklore became stronger and seconds before 05 sharp Carve dived and left the frequency free for a TOH ID:”Transmíte Radio La Gauchita, desde Morón, Capital Federal de Gran Buenos Aires”! R La Gauchita is listed in WRTH2015 on 810 AM but moved to 850 during the latter half of 2015 according to Marcelo A. Cornachioni (ConexionDigital). I immediately received an email confirmation on my submitted mp3 from Carlos Pampillón, Director. Mil gracias Carlos! 1180 is usually dominated by R Mundial, Rio de Janeiro during cx towards the southern countries of South America. 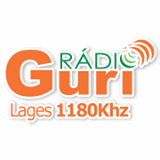 The other Brazilian stations listed on this frequency are more or less rare. A handful of them have, however, been heard in Finland, such as R Capital MA, R Cultura Alfenas MG and R Guaco, Todledo, PR, to mention a few. Jari Ruhomäki was the first one in Finland to hear R Guri in 2012. My own logging of the station is from February 22, 2015 during LEM354, when Guri faded up just at the right moment from a bunch of Brazilians present, one of them R Cultura, Alfenas. A FB message confirmed my reception of R Guri. ZYH247 R Jovem Pan, Maceió is a quite commonly heard Brazilian here thanks to it split 1029.93v. The frequency is interesting, since quite a few stations have been heard, e.g., R Folha, R Educadoro do Carirí, R Macambira, R Cenecista etc. The most common southern LA-stations here are perhaps Argentinian R Universidad Nacional del Litoral and the Paraguay station R Ñanduti on its high split 1020.10v. A short confirmation arrived from Jovem Pan on a reception report of February 22, 2015.